Poor circulation can be the cause behind tingling feet or hands, or of fatigue or edema. Worse, it might indicate a serious disease that needs to be addressed. Poor circulation, especially in hands and feet, could be a sign of a serious condition and is worth getting examined. Do you feel like your hands or feet are on “pins and needles”? That’s one of the most commonly described symptoms of poor circulation. If you think you’re battling poor circulation, it’s wise to get a diagnosis; it could be a symptom of a much more serious disease—including peripheral artery disease, stroke, heart attack, blood clots, and scleroderma. Uncontrolled and, more important, undiagnosed poor circulation could even lead to amputation. Remember, poor circulation is a symptom resulting from something else. In and of itself, it is not a disease. 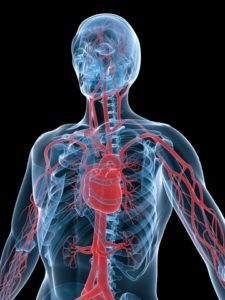 If you have poor circulation, your blood flow is compromised. For one reason or another, blood is not getting where it needs to be. Most people notice circulation problems first in the extremities, with that pins-and-needles feeling, but it can also affect the heart and other organs. Blood circulation is how nutrients and oxygen are brought to your body’s organs. Poor circulation is starvation to them. Most people initially notice symptoms of poor circulation in their hands and feet, but it’s possible to notice symptoms in your face, too, especially the lips, nose, and ears. A common cause of poor circulation is blocked or narrowed blood vessel, usually due to plaque building up and hardening in the walls of your blood vessels. Diabetes, thyroid disease, hypertension, and obesity can all lead to the problem. Poor health habits are often behind poor circulation. Smoking, drinking in excess, bad diets, and insufficient exercise are widespread causes. Sitting too long in one position, especially in a cramped position like on an airplane, can result in poor circulation. As you read the causes of poor circulation, you probably already thought of ways you can improve it. Exercise is at the top of the list. Your FitBit is right when it reminds you to get up and move. Sitting behind a desk for eight hours is bad for your health, and getting up only to eat lunch and to take a couple of restroom breaks simply isn’t enough. You need to get up and move. If you can increase the amount of aerobic exercise you do—dancing, biking, mowing the lawn, swimming—all the better. Exercise does not have to be strenuous, however. A walk, housecleaning, or going to the grocery store all count as exercise. In fact, if you’re battling the symptoms of poor circulation—like shortness of breath, lightheadedness, or pain of any type—you need to take it slow, discussing exercise limits with your physician. Take steps also to start a heart-healthy diet—one that’s low in fat and high in fiber. Consider adding fish oil for the omega-3 benefits. Skip those desserts, and pay attention to your weight. Although getting your nutrients through a proper diet is best, supplements of vitamin B6, vitamin B12, and magnesium may help. Clearly, if you’re cold “all the time,” you need to keep yourself warm. Allowing your limbs to get too cold only worsens blood circulation. 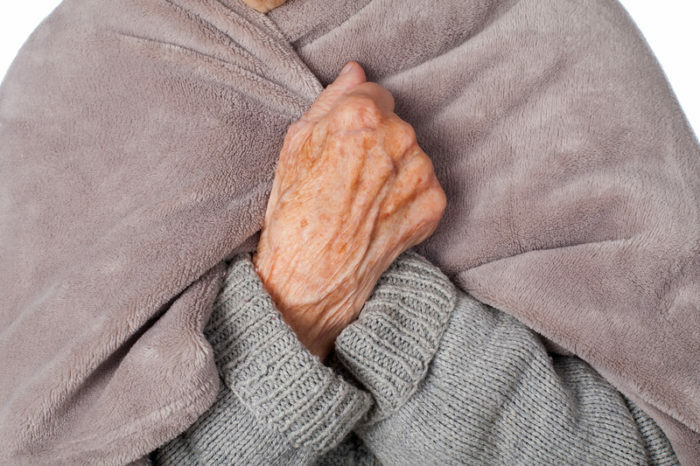 Some people battling Reynaud’s syndrome, where fingers turn blue or white due to poor circulation, put their fingers right in a bowl of warm water or use a hot-water bottle. Many treatments are available for poor circulation; they could be as simple as compression socks, aspirin, or a prescription drug. Treatment also may involve surgery. It all depends upon the cause. Your physician will assess your symptoms and family history, looking at your risk factors and lifestyle. Determining the cause may involve some blood tests, a blood-glucose test, physical examination, blood pressure testing, and, possibly, an ultrasound or CT scan. Once the cause is determined, treatment options will be discussed. aerobic exercise, Alopecia, artery disease, b12, best supplements, blood clots, blood pressure, brain, calcium, calcium deficiency, calcium deficiency symptoms, cramps, diabetes, diet, dizziness, ears, edema, exercise, fiber, fish oil, glucose, hair loss, headache cures, headaches, health, healthy diet, heart attack, heart healthy, heart healthy diet, hypertension, itchy skin, magnesium, memory, muscle, muscle cramps, nutrients, obesity, omega 3, pain, peripheral artery disease, pins and needles, poor circulation, scleroderma, shortness of breath, skin, smoking, stroke, supplements, thyroid, varicose veins, vitamin, vitamin b12, vitamin b6. What kind of a doctor to have poor circulation in left leg. need advice , my sons leg is turning black & none of the doctor’s he’s seen are doing anything about it , he had compartment syndrome from carbon monoxide poisoining , the hospital operated on his arm but not his leg. Please give me advice as to what doctor will address this problem. I Combined my daily cupping treat with the Bellabaci Circuflow Genie for a double professional result that can be seen and felt by just 10 minutes per day. You can use the products while watching television, while you are in the shower or just lounging around and maximize your time to benefit your state of wellness. It really is amazing! You can see the product here, https://bit.ly/2Dki9no.